I am a woodwind specialist, having performed extensively throughout Australia and overseas with the Royal Australian Navy Band. I have a Bachelor of Arts in Music from La Trobe University and a Graduate Diploma of Education from Monash University. I am registered with the Victorian Institute of Teaching, am a fully accredited member of the Victorian Music Teachers' Association and a member of the Association of Music Educators (Vic). My music teaching experience includes instrumental music tutor positions at Caulfield Grammar, Ivanhoe Grammar and Aquinas College, as well as various secondary schools for the Education Department. I have taught band programs at many primary schools throughout Melbourne, and have featured as the Musical Director/Conductor for Musicorp Teaching Services Combined Schools' Annual Music Camp. In addition to running my music studio, I am a classroom teacher with the Education Department. I am able to teach students of all ages how to play music, including preparing students for AMEB and VCE music exams. In my music lessons I not only focus on the technical aspects of learning an instrument, but also include musical expression, music appreciation and background - resulting in confident, well-rounded students. I believe age should be no barrier to the joy of learning an instrument, and as such have taught quite a few over 55's. 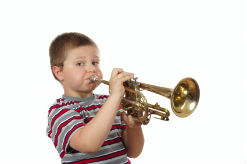 Whatever your age, maybe now is the time for you to learn to play music! Professional associations: I am registered with the Victorian Institute of Teaching (V.I.T. ), am a fully accredited member of the Victorian Music Teachers' Association and a member of the Association of Music Educators (Vic). A Working with Children check is part of V.I.T. registration. References: To read student and parent testiomonials, click here.